Are you a health care professional and wants to settle abroad… then Canada would be the right option, Canada has high demand for nurses thus many options for immigration. 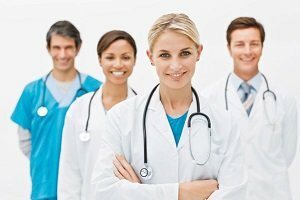 At this juncture Canada is looking for a good number of other healthcare fields and the immigration is structured to attract the practitioners with wide range of expertise in healthcare services. Off the 24 eligible occupations released by NOC, nine programs are related to healthcare field Physiotherapists / Occupational therapists / Medical sonographers / Medical radiation technologists are few of the healthcare programs. 300 Applications in each eligible occupation will be accepted. However, as of the time of print all occupations (*with the exception of physiotherapists) are still open and accepting applications. Basically this is open to all skilled workers and semi-skilled workers. For eligibility an applicant must get a minimum number of points on grid and applicants with educational background in healthcare receives a very high points and thus increases the value of the application. The renowned Provincial nominee program allows individuals for nomination for permanent residence and the PNPs have very strong focus on skilled workers and which healthcare professional may be considered. Apart from work experience, healthcare professionals must meet the eligibility requirements like English / French language proficiency, financial support, education etc.. Most occupations in health cares are regulated, which means before practicing an individual should have necessary certification and licensing. Educational credentials to be assessed prior to submitting the application. Health professions in Canada are governed by organizations, unions, professional societies, research on how to become a member would be an added advantage to the applicant. $ 40-50 can be offered to a healthcare professional depending on the field of study and the location in the country. Wages / Salaries are only expected to rise in the forthcoming years to catch the attention of younger professionals. MoreVisas is ready with exceptional certified professionals to guide you through out process starting from check on eligibility, documentation, complete guidance till visa. ← Watch Foot Ball World Cup 2014 in Brazil!